888 BRANNAN is a five-story historic building originally constructed in 1917 and located at the corner of 8th and Brannan Streets in San Francisco’s South of Market district. The building has recently undergone a complete interior and exterior renovation, including a dramatically renovated atrium, new windows, and new mechanical, electrical, and plumbing systems. 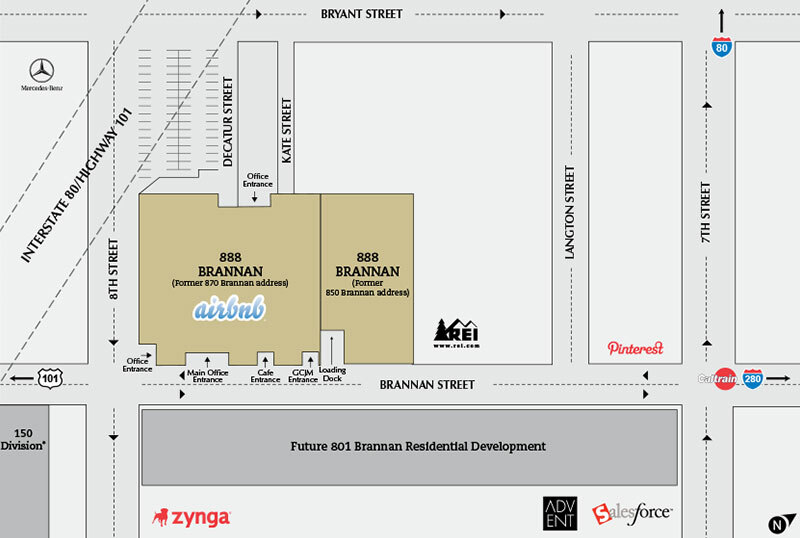 888 Brannan contains 330,000 square feet of Class A technology office space, in addition to retail space. 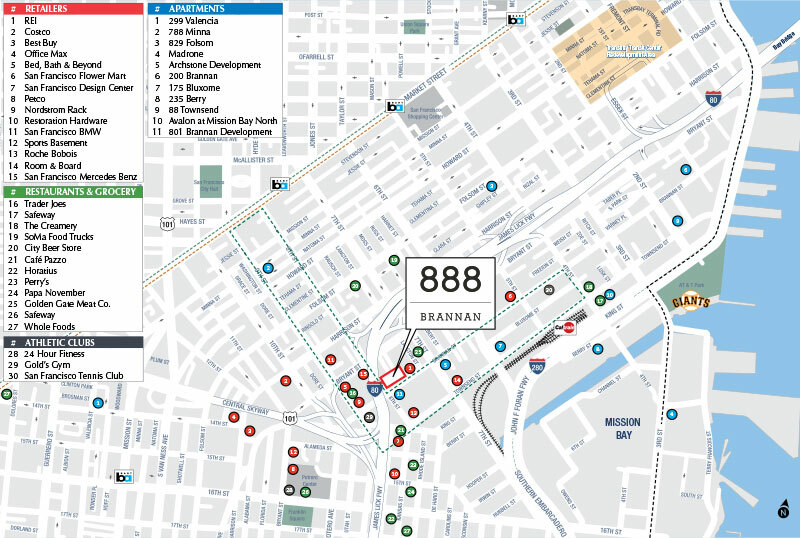 888 Brannan recently signed a 170,000 square foot 10-year lease with Airbnb.com, which took occupancy in Q2 of 2013. 888 Brannan was acquired in May 2011. Vantage, in conjunction with its local partner SKS Investments, obtained entitlements for the renovation and conversion to office was in February 2012. The renovation commenced immediately thereafter and was completed in summer of 2013. Vantage sold the property in April 2014 to Beacon Capital Partners.